This pathway includes a visit to the spaces in which are written the pages of over 25 years of history of the Fondazione Mediterraneo and the use of videos that bear witness to the recognized commitment of the Foundation for dialogue and peace: over 3,000 meetings, 35 visits Heads of State and Government, Nobel Prize winners, young people and women from various countries tell a singular path of peace that, between great difficulties, has often managed to make the impossible, possible. 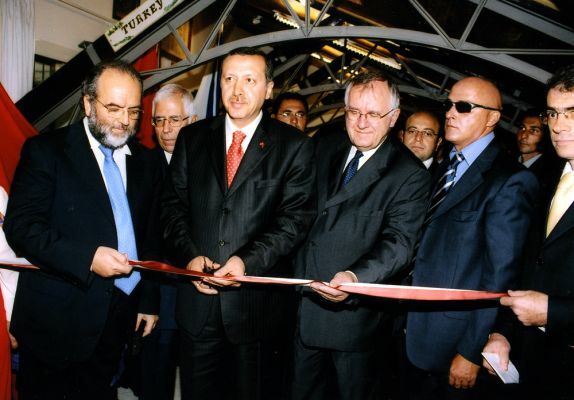 Among the many visits stands out that of Turkish Prime Minister Erdogan with 14 ministers (September 2005) to ask the Foundation and its international committee for help for the integration of Turkey in Europe; that of the Palestinian president Abu Mazen (2013) during which he recognized the State of Israel (historical fact!) and the indispensability of the peace process; that of the Portuguese president Cavaco Silva who assigned to the Foundation the role of "institution of reference for peace in the world".